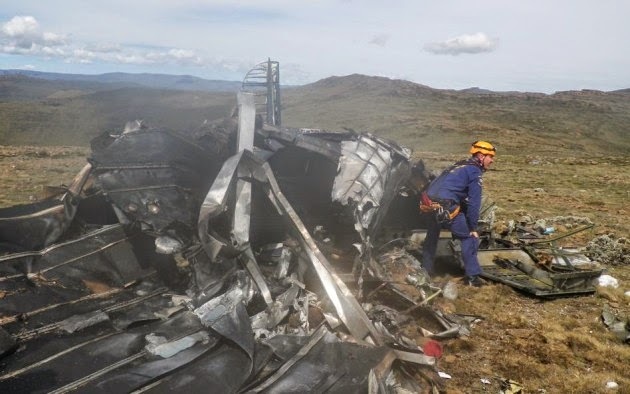 On 5 December 2012, a Douglas C-47TP "Dakota" 6840 of the SAAF crashed in the Drakensburg Mountains, KwaZulu Natal, killing all eleven people on board. The aircraft involved was Douglas C-47TP 6840, c/n 13866. 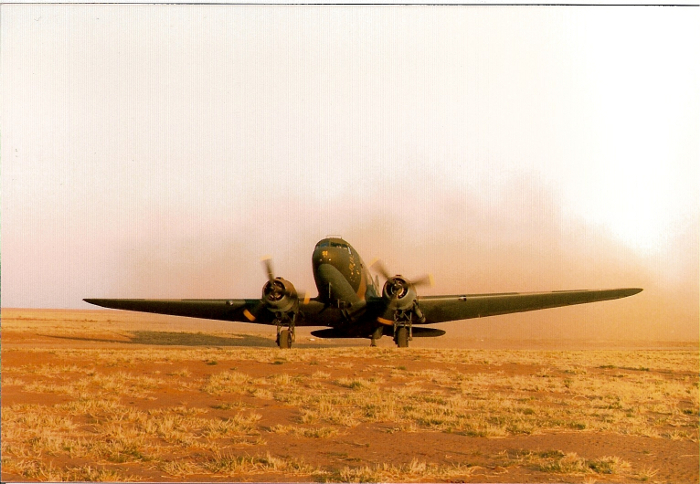 It had been built in 1943 as 43-48050 for the United States Army Air Forces and was transferred to the Royal Air Force in 1944 as KG767 before being immediately transferred to the South African Air Force as 6840. In the early 1990s, the aircraft was modified with Pratt & Whitney Canada PT-6A turboprop engines and a fuselage extension. 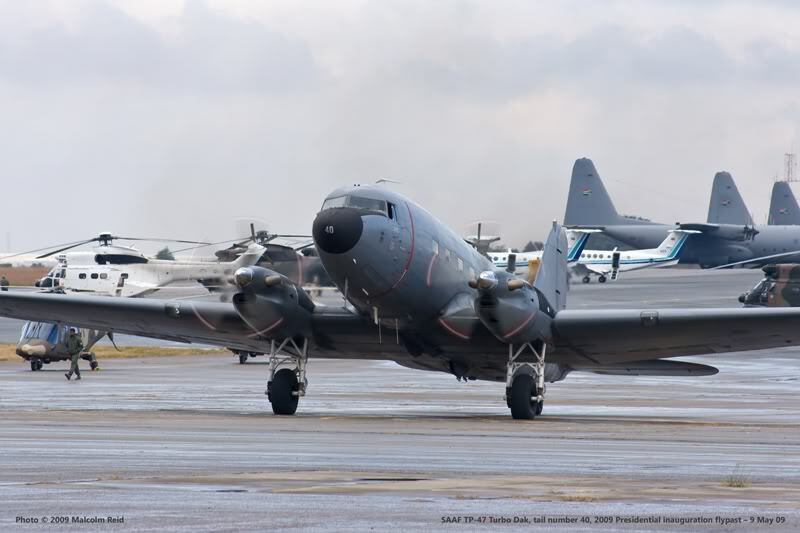 Based at AFB Ysterplaat, Cape Town, it was mainly used in the maritime patrol role but also acted as a support aircraft for the Silver Falcons display team. 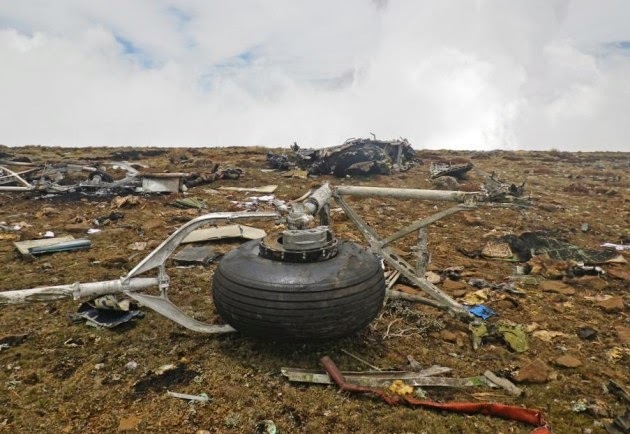 The aircraft was on a flight from AFB Waterkloof to Mthatha Airport when it crashed near Giant's Castle in the Drakensburg Mountains, killing all on board. 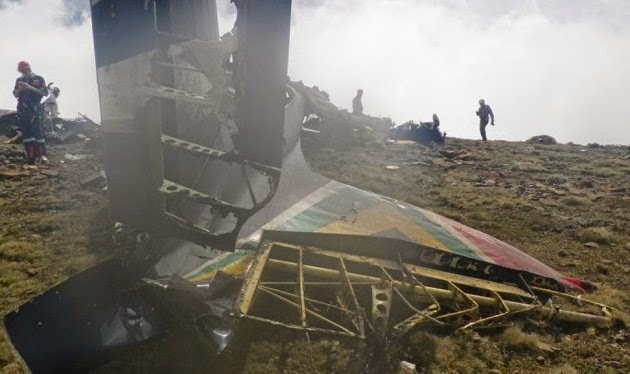 Shortly before the crash at 09:45 hours South African Standard Time (07:45 UTC), the crew reported that they were flying on instruments at 11,000 feet (3,400 m) in instrument meteorological conditions. 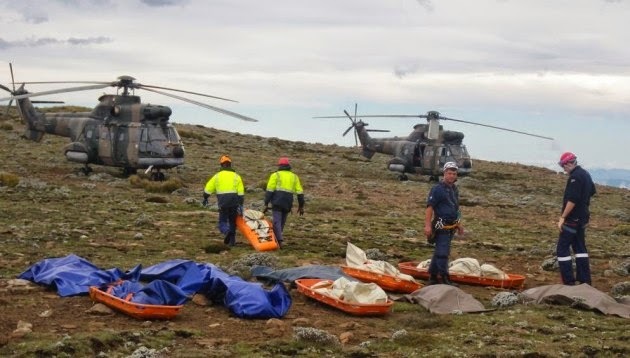 There were six crew and five passengers. An inquiry into the accident was still pending at the time of writing. KG710 13.12.44 Capt AR Oldridge (k), Lt NS Campbell (k), Lt J Zurschmiede (k), A/Cpl CA Kalis (k). Missing between Bari and Hassani 13.12.44. 23 May 1981 6878 Rand Airport Destroyed in fire during servicing. 3 Jul 1964 6875 Rand Airport Written-off after ground fire. The DC-3 has been known to do some impossible feats. Built to carry 21 passengers, one routinely carried 40 in the Philippines. 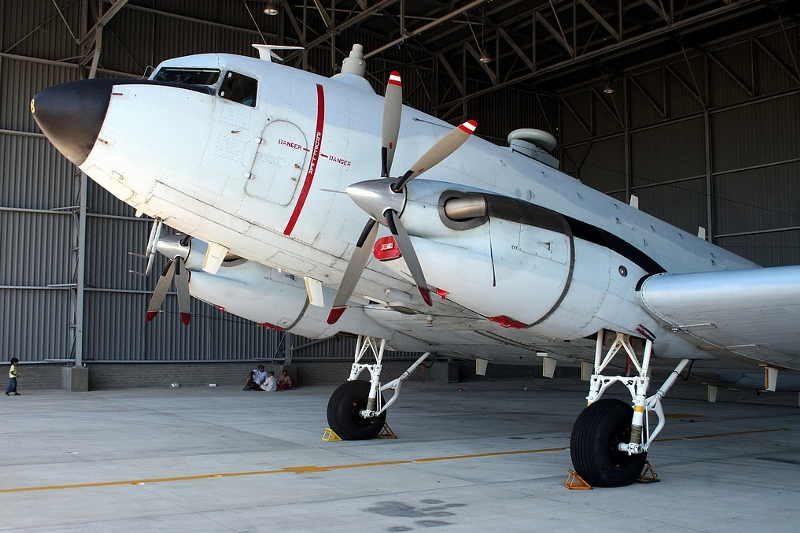 On flights from Australia to New Guinea, Qantas rigged its DC-3s with slings and carried 50 people. 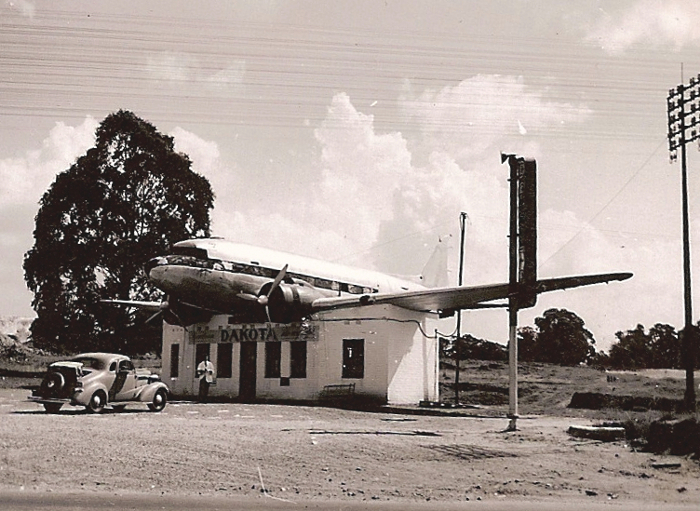 In 1949, a DC-3 carried 93 people out of an earthquake-ravaged Bolivian village. Many were small children, but it is still a feat that defied the designer’s slide rule. 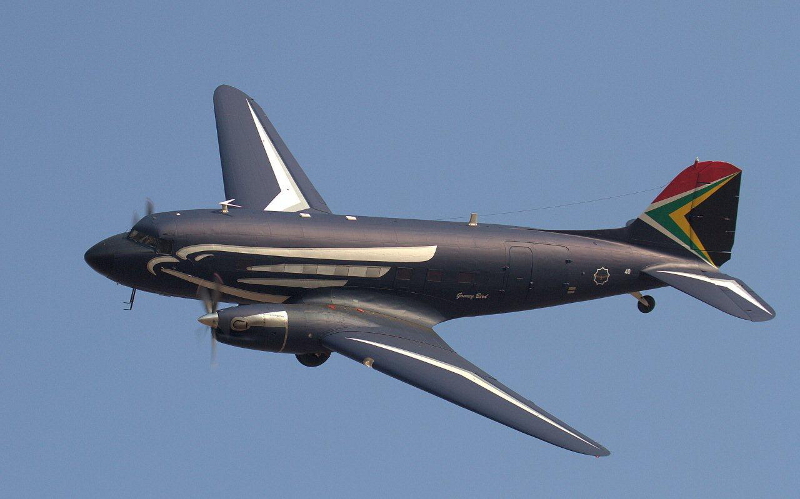 Twenty-five years later, the DC-3 broke its own record again. On March 23, 1975, a Continental Air Services DC-3 flew from Ku Lat, Vietnam to Saigon with 98 orphan children, five attendants, and three air crew, a total of 106 people. Eastern Airlines’ DC-3s accumulated 2,227,863 hours of flying time, logging 83,584,318 miles, the equivalent of 3,343 times around the world or the distance between the earth and moon, 350 times. The first formal recognition the DC-3 had earned a permanent place in aviation history came with the installation of Eastern Airlines’ NC18124, into the Smithsonian Institution in 1952. 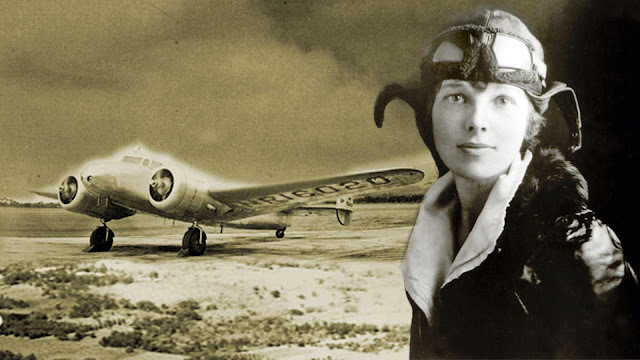 This airplane had logged 56,758 hours flying 8 1/2 million miles between July 1937 and January 1952. It spent the equivalent of six and one half years in the air. That airplane is now on display in the National Air and Space Museum. North Central’s N21728, “Old 728,” logged 84,875 hours before its retirement in May 1975. Eastern Airlines took delivery of N21728 on April 11, 1939. It logged 51,398 hours over a 13 year period, then Eastern sold it to North Central Airlines. It spent another 31,634 hours in scheduled service (through April 1965) and logged another 1843 hours (through 1975) as a VIP aircraft for North Central. North Central estimates “728” spent more than 9 1/2 years in the air and covered over 12 million miles, the equivalent of 25 trips to the moon and back. During its career, “Old 728” had 136 engine changes, its landing gear was replaced 550 times, and it used over 25,000 spark plugs, to burn eight million gallons of gasoline. This DC-3 had taxied more than 100,000 miles and carried 260 million passengers in its 36-years of service. Although many “old timers” had their share of bumps and bruises, “Old 728” never suffered even a minor mishap. Today, it is sitting quietly at the Henry Ford Museum, in Dearborn, Michigan. Critics have said that everything but its shadow has been replaced. However this is not true. “Old 728′s” airframe was still 90 percent factory issue when it retired.